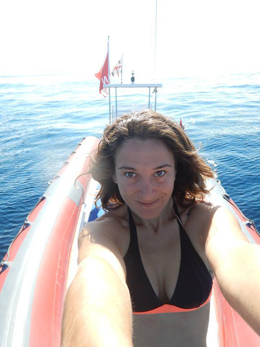 Elena Giampaolino, the owner the Isla Diving, was born in Rome and since she was a little girl she loves the sea and she likes to explore the ocean, spending entire summers in the water. At 16 she started to dive with the scuba and followed the PADI&apos;s Open Water Diver Course; from that moment she decided never to stop diving. 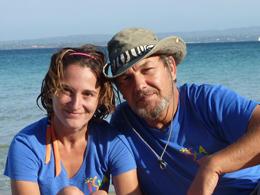 She continued her training to become a PADI Divemaster and SSI Instructor. 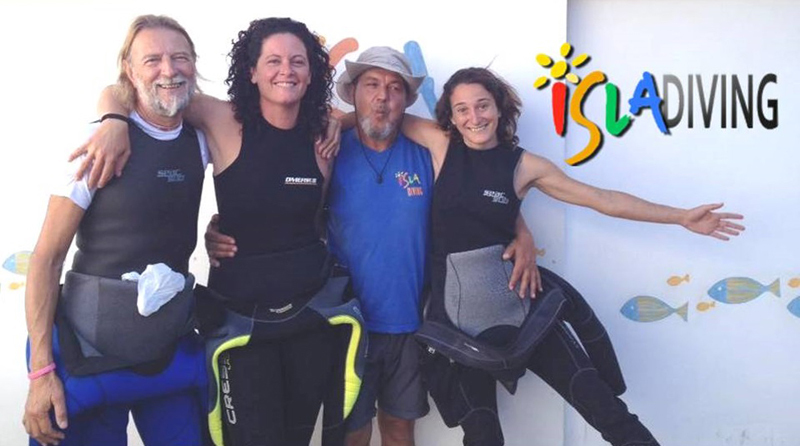 Her job as an instructor gives her a lot of satisfaction and she finds a great joy in transmitting to others, young and old, her love for diving. Enthusiastic teacher, her students not only learn the technique, but become captivated by her passion. Elena has also a degree in Psychology of children, adolescents and families; she is a Family Mediator and a Gestalt Counselor and has had several experiences in social work. 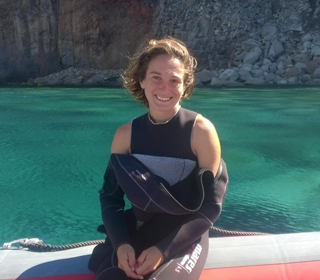 Scuba Wellness Instructor, she uses the diving experience as a psycho-education mean also directed to rehabilitation and wellness. Tireless DiveGuide, it&apos;s so hard to pull her out of the water! Slender but mighty... do not underestimate her power! She loves to hop on the boat&apos;s tubular and perform amazing dips! Claudio Menotti, was born in Ancient Rome... Since early childhood, he joined the guild of urinatores (divers of ancient times)... His first tank was purchased by his mother by mail-catalogue and his first boat consisted of two chairs linked together, sailing on a marble-sea in his maternal grandmother&apos;s house. 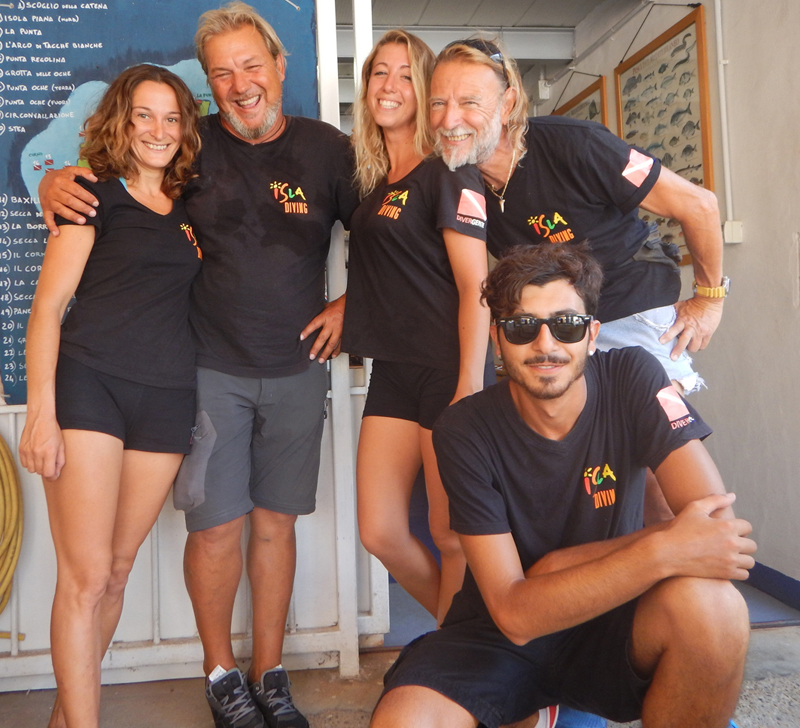 He spends in the water all the time he can, and at age of 12 he performed his first dive with a double tank steel... His first instructor was an old FIPS&apos;s manual. He has been witnessed while riding his bicycle underwater. 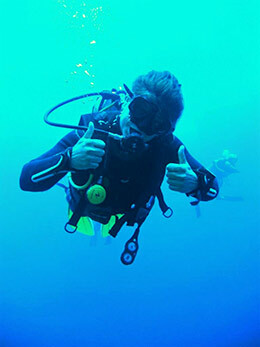 He has initiated many people to diving activity. 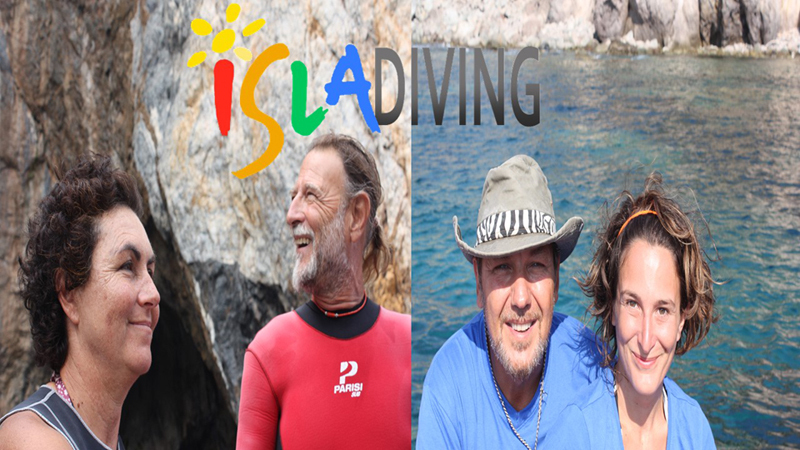 Believing in the importance of official certifications, he acquired all the diving patents, up to Divermaster PADI. 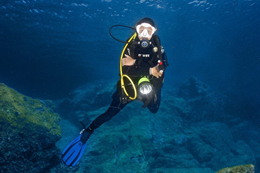 Next, he has turned his passion for the sea into a profession, and thanks to its technical knowledge, he has succeeded for many years and til today in the business of diving equipment and breathing air compressors. 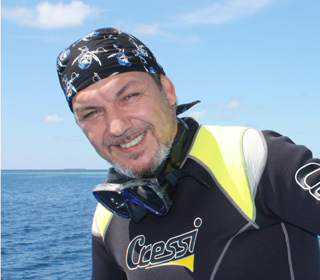 He has participated in various events and initiatives of the recreational and professional diving industry in Italy and abroad; he also took part to The house at the bottom of the sea as a designer, installer and system manager for breathing gases together with Explorer Team Pellicano. 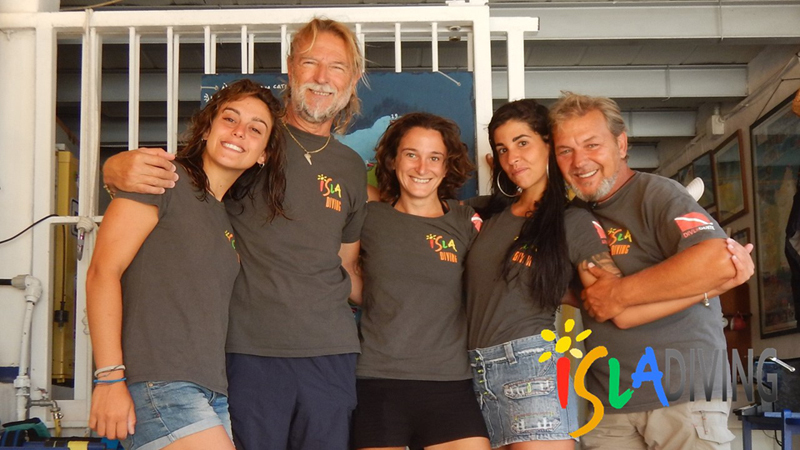 Creative and practical, as a member of the Isla Diving&apos;s team he takes care of the equipment, the compressor and the boat, and he successfully repairs really everything! Divemaster, Captain and Guide of the Tour of the Island, with his megaphone and sympathy he can charm and entertain everyone, young and old! 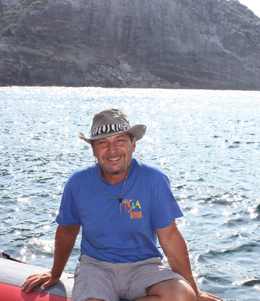 Paolo Tealdo, vice president of the Italian Federation of Teaching Sport Fishing and Underwater Activities (Fipsas), is an instructor and dive guide of enormous experience, skillful connoisseur of the backdrops of St. Peter&apos;s Island. Someone says that class is not water... for him it is just the opposite, and this is a source of pride! He teaches Fipsas old-style. 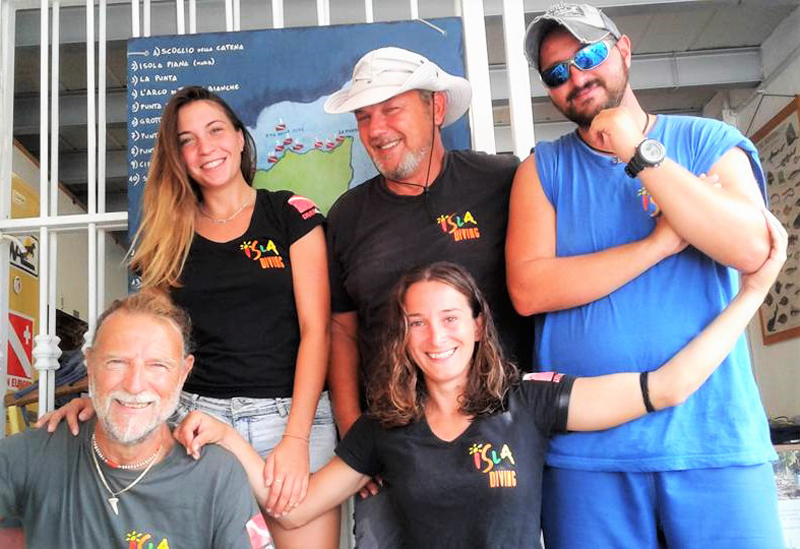 His marine fighter zest has softened since he became an instructor of instructors and the president of the Cavanesians's Diving Club of Ivrea. 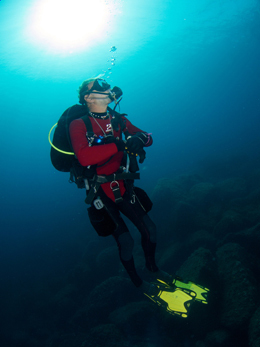 Realizing that diving is no longer what it once was, he embraced the recreational aspects that the discipline has to offer. To be at the top during the dry-activities, full of dialogue about the aquatics characteristics of female customers, and to earn the privilege of accompanying female scuba-divers in amazing underwater excursions, his helpfulness, kindness and happiness have become proverbial in the Isla Diving team, as his rigorously brief-style swimsuit. 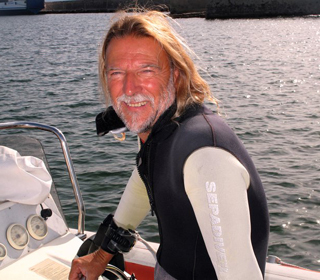 He knows how to lead divers to discover the most beautiful diving spots and find all forms of marine life. Nothing can quench his thirst for diving!